Pizza night is a family favorite for many – messy, gooey, filling and affordable. 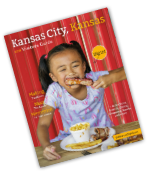 Italian Delight is a household name in Kansas City and has been serving families for more than 33 years. New York style is the name of the game at Italian Delight. Thin, hand-tossed pizza is served by the whole pie or in slices as big as your head. 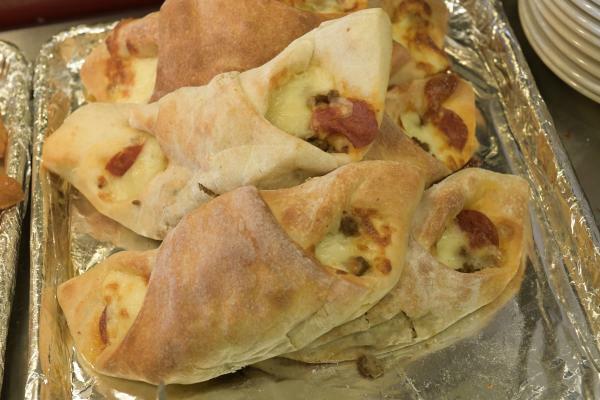 Classic favorites also include calzones stuffed with ham, creamy ricotta and mozzarella cheese, and Stromboli with spicy meats and mushroom. 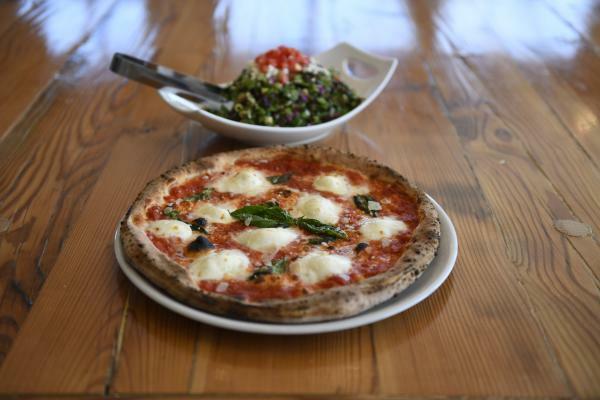 Chiusano’s Brick Oven Pizzeria gains its inspiration from another part of the globe. 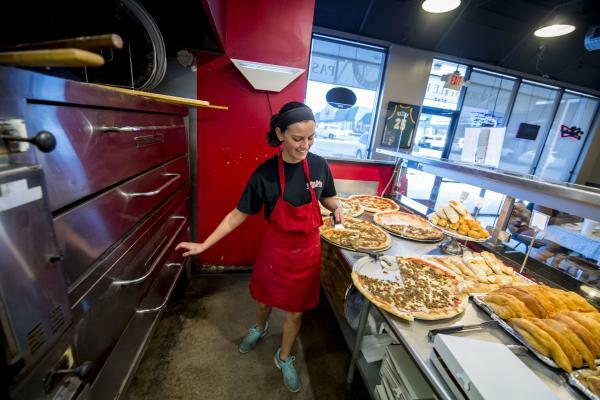 Owners Bob and Nancy (Chiusano) Borberg were motivated by Nancy’s family’s heritage in Naples, Italy to bring Neapolitan style pizza to the Midwest. Cooked for a few turns inside a giant brick oven, these pizzas are served charred and chewy on the outside and soft near the middle for a truly authentic taste. 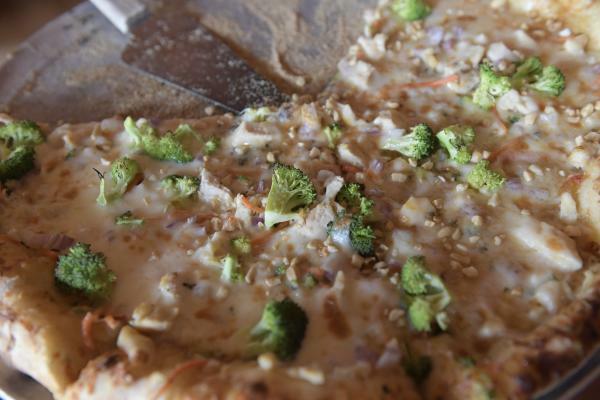 Opt a more traditional Margherita pizza, or go the adventurous route with a zesty, colorful Thai Pizza with fresh cut veggies and a peanut sauce base. The opportunity to let everyone turn their pizza into an artful masterpiece makes digging in that much more fun. Pizza Studio inside Legends Outlets Kansas City allows you to do just that. Kids and adults alike can load up on different kinds of cheese, meats and all the veggies from artichoke to roasted red peppers. Choose your own sauce and crust to make something that’s uniquely yours. Topp’d Pizza across the street from KU Med Center presents a similar concept. Because Topp’d Pizza only believes in offering the freshest of ingredients, there are no microwaves or freezers in the restaurant’s kitchen. 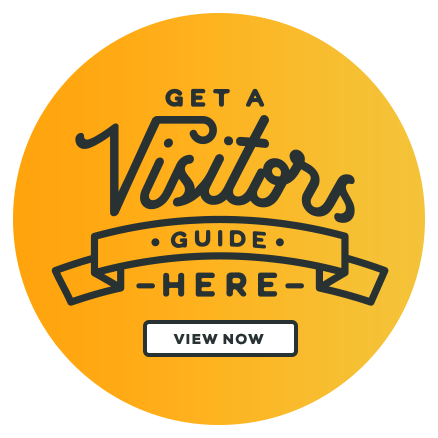 All cheese, meats and veggies are hand-cut on site, and the dough and sauce are made from scratch with all natural ingredients. Speaking of fresh, the newest pizzeria in Kansas City, KS grows its herbs and prepares orders right before your eyes. 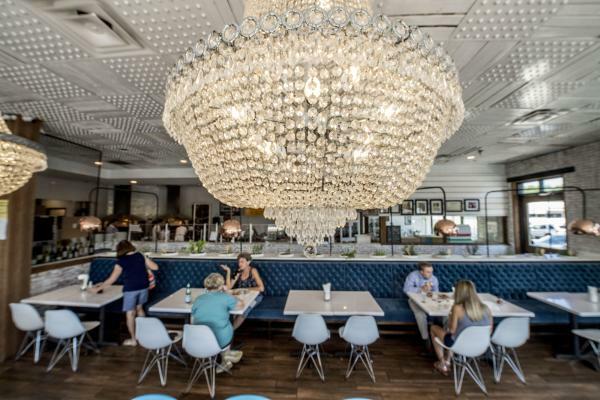 1889 Pizza Nepoletana has gained local and regional recognition for its elegant interior paired with a quirky fast casual concept, and savory, vibrant pizzas, salads and more. 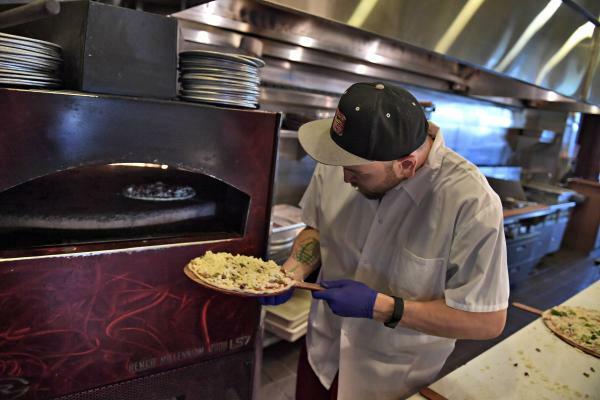 Owners Jason and Kelli Kolich opened 1889 Pizza in the spring of 2016 as a way to offer quick service and quality flavor to the Kansas City area. Served Neapolitan style, pizzas like the Honey Bee (fresh pear, gorgonzola, local honey, arugula and olive oil) and the Prized Pig (smoked pulled pork by 913 BBQ, family created barbecue sauce, fresh mozzarella, smoked provolone, caramelized onions and sweet coleslaw) are as delicious to the eye as they are to the taste buds. Bon appétit!